I’ll show you how to enabled a button on a current item changed event in a Mashup list. The scenario is as follows: You have a list of planned orders and you want to add a button to execute a related option but only if the order status has a specific value. 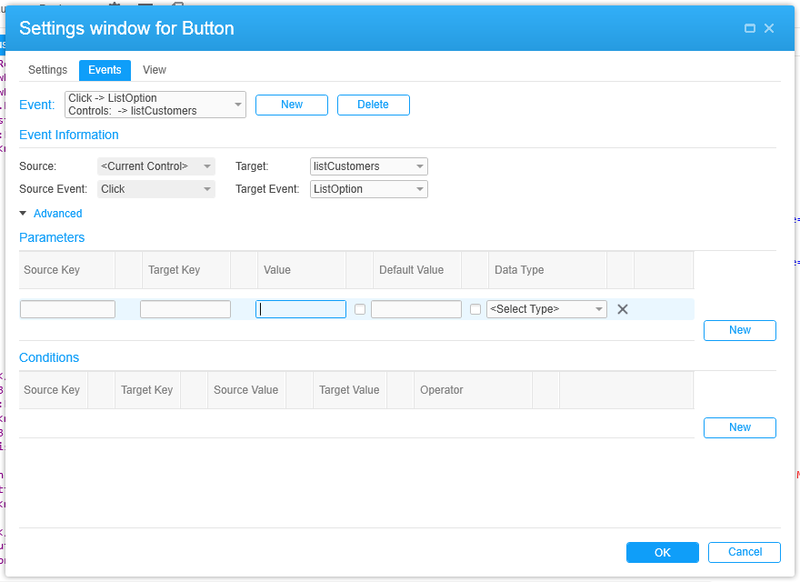 I’ll show you how to set a property value in an event and how to execute a related option using a button. The real case scenario here would be planned work orders in MOS197 but for simplicity if you don’t use that module I’ll simulate the checks by using a much simpler program and one of my favorites, CRS610. The hard part is to reset the IsEnabled for the button to be false so that it does not keep its state as we select different rows in the list. One trick is to use the Running event as described in a previous post. Another approach I’ll show you now is to use the same Event – twice. You might need to apply both these approaches if your list reloads, based on another selection, and you are very specific that the button should be disabled until the first row is selected. These tricks are quire useful and can be applied to S3 / Lawson mashups as well. Let’s start by adding the list with a start-up event and the button that will run a related option. This code almost work. We have the button and it is disabled and enabled only when status is 20, but as we select a new row the button remains enabled even if the condition is no longer met. One way to fix this is to add a new Event for CurrentItemChanged that always disables the button. It will be called before the conditional event so it will always re-set the IsEnabled to false. Note that you need to edit the XAML and move this line so that it comes after the conditional event. This approach is good to remember. Before writing this post I did not know how to map a button event to a list option. So I went into the Events for the button, added a click event and mapped it to a ListOption. But I did not get a suggestion for what TargetKey to use. I would have guessed for Option but there were no suggestion in the Parameters section after adding a new parameter. See below. I need to know more about the M3 ListPanel so I opened the SDK Documentation (unde Help menu in the Designer). I wanted to know more about the ListOption event so I searched for “ListOption”… and I found what I was looking for. The parameter name was described in the help it should be Option. Of course it would be nice if this information was in the tool but I think there is a limitation here that the editor does not support different target keys based on the name of the event. 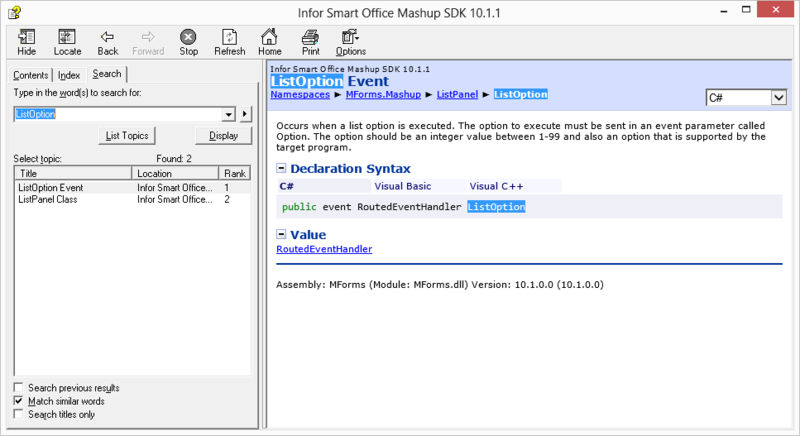 If you are using the Mashup controls and are not sure how to use them – don’t forget to check the code documentation. There is no event but you can use a button with a command. The example below shows a button that triggers the F5 function key. 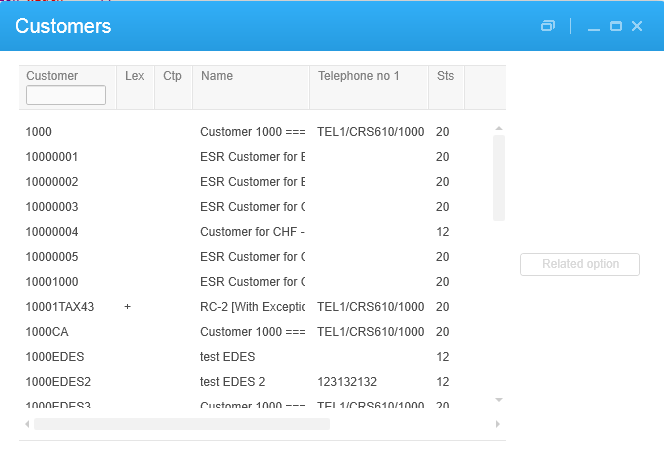 Note that the CommandTarget attribute must be set to the ListPanel unless the button is created within the ListPanel (using a ContentPresenter to show the list). How do you connect the function above to my button? Great. I see that you found the post on related option. this is the button, and tried to use your above example, but didn’t work. I don’t think all the code is there. You have a button – but no command is set on it. That seems correct but perhaps you could share the entire xaml or a simplified one with the list and the button and nothing else. Then I could try it here in the Mashup Designer. Hi, There is no good fit for what you would like to do. There is an UpdateComplete event but it will be raised even if there is an error. We have thought about adding more events to cover this and similar scenarios. I’ve added your description of the problem to the enhancement request. But for now I’m afraid there is no other way around it… unless a successful call returns some data that you could check in a binding. But it if is just OK / NOK then I’m not sure. If it returns data upon success then perhaps there is a way. Do you have any examples of code which uses a close event to trigger a refresh of list panel. I have a mashup where i open up a window to make changes using an MIPanel and causes a change. when the API is successful the window closes. I Would then like the list to refresh to reflect that change. Here is an example, when the MITransaction in the dialog is complete and then the customer parameter is set and the dialogs closes it calls a refresh on the list.